Classic DC Universe character, Star Girl! 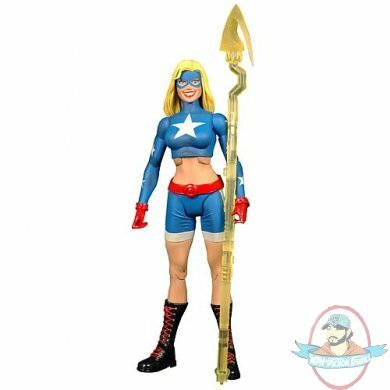 Detailed figure of Star Girl! From Mattel and the DC Universe, this exciting 7-inch scale The Star Girl action figure features tons of detail and plenty of articulation. Don't miss out on this exceptional figure! This Star Girl action figure comes with a S.T.R.I.P.E. Collect and Connect piece!